Vickie Guerrero Gets Married (Photo), Paige To Announce Engagement On Total Divas - Wrestling Inc.
- Vickie Guerrero revealed Sunday on her Facebook page that she has gotten married. 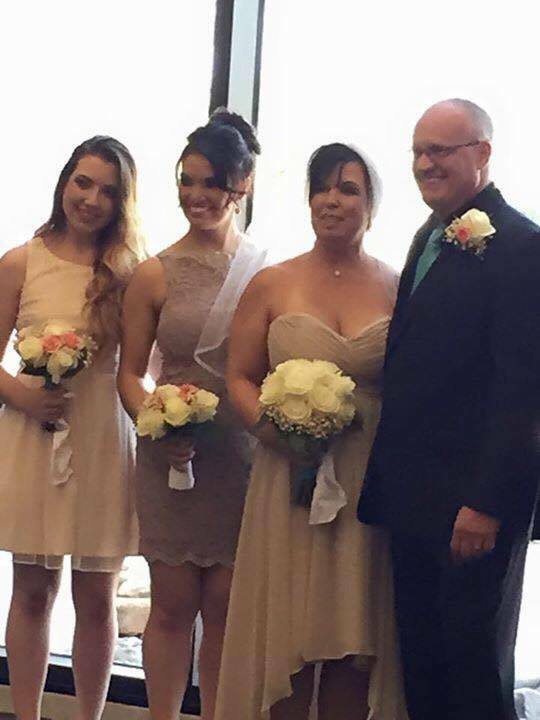 Here she is with her new husband, Kris Benson, and two daughters, Shaul and Sherilyn Guerrero. The 47-year-old, who parted ways with WWE last year to pursue a career in medical administration, now refers to herself as Vickie Benson on her Facebook account. "The ladies travel to Tulum, Mexico, for a vacation, during which Paige announces her engagement. Meanwhile, the Bellas learn they have a new sibling; and Alicia puts Trinity's relationship with Jon at risk."